The Alan Turing Year, 2012, marks the celebration of the life and scientific influence of Alan Turing on the occasion of the centenary of his birth on 23 June 1912. Turing had an important influence on computing, computer science, artificial intelligence, developmental biology, and the mathematical theory of computability and made important contributions to code-breaking during the Second World War. The international impact of Turing's work is reflected in the list of countries with planned celebrations for Alan Turing Year, including: Bolivia, Brazil, Canada, China, Czech Republic, France, Germany, India, Israel, Italy, Netherlands, Mexico, New Zealand, Norway, Philippines, Portugal, Spain, Switzerland, U.K. and the U.S.A.
A number of major events took place throughout the year. Many of these were linked to places with special significance in Turing’s life, such as Cambridge University, the University of Manchester, Bletchley Park and Princeton University. Here we try to give a chronological overview of Turing related scientific events that took place throughout 2012, as well as the Turing related presentations given at those events. •	January 4-5, 2012: AMS-ASL Special Session on The Life and Legacy of Alan Turing at the 2012 Joint Mathematics Meetings, Hynes Convention Center, Boston, MA. •	January 12 onwards: Turing Year in Iceland - organised by the Icelandic Centre of Excellence in Theoretical Computer Science (ICE-TCS) at the University of Reykjavik, jointly with the Icelandic Mathematical Society, CADIA and IIIM. •	January 13-15, 2012: MAMLS (Mid-Atlantic Mathematical Logic Seminar) 2012, organised in association with the Florida Atlantic University. •	January 19, 2012: Turing's legacy or What did Turing ever do for us? - University College London. •	January 20, 2012: Alan Turing, eclettico e stravagante : un omaggio al grande matematico nel centenario della nascita at SUPSI, Scuola universitaria professionale della Svizzera italiana, Lugano-Canobbio, Campus Trevano, Switzerland. •	January 21-27, 2012: 38th International Conference on Current Trends in Theory and Practice of Computer Science (SOFSEM 2012), in Spindleruv Mlyn, Czech Republic. •	January 24, 2012 onwards: Alan Turing Centenary 2012 in Calgary. •	January 31 - February 2, 2012, Is Cryptographic Theory Practically Relevant? •	February 5-11, 2012: Workshop Computability Theory at Mathematisches Forschungsinstitut Oberwolfach. •	February 6-8, 2012: Days in Logic 2012 at the University of Évora, Portugal. •	February 17, 2012, 5:30pm: Special Lecture by Dr. John Prager from IBM Watson Research Center in Hawthorn NY (U.S.A.) on IBM Watson from Jeopardy! to Healthcare - Could a quiz-show winning computer advise your doctor?, Cambridge, England. •	February 21-29, 2012: IET and BCS Turing Lecture 2012. •	February 23, 2012: Transdisciplinary Seminar Artificial Intelligence - Terra Incognita Between Philosophy, Computer Science, Biology ... (within the Alan Turing Year framework). At Donetsk National Technical University, Ukraine. •	February 27, 2012: The Legacy of a Genius: Alan Turing, the Father of Artificial Intelligence: An International Workshop hosted by UAEU. 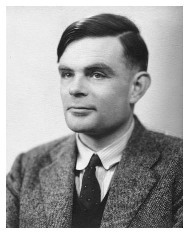 •	February 29 to June, 2012: A Programme of Lectures on Alan Turing: The main organiser is Espai Ciència-Institut d'Estudis Catalans-Octubre Centre de Cultura Contemporània, with the support of the two public universities in Valencia and the CSIC (Higher Research Council). •	March 1st, 2012: Turing Power of Mobility, at the Faculty of Mathematics, A.I.Cuza University. Speaker: Gabriel Ciobanu, with talk related to the recent Springer monograph on mobility by B. Aman, G. Ciobanu: Mobility in Process Calculi and Natural Computing, Springer, 2011. •	March 5-9, 2012: 6th International Conference on Language and Automata Theory and Applications (LATA 2012), A Coruña, Spain. Includes tutorial sessions Around the Physical Church-Turing Thesis presented by Gilles Dowek on March 6 and 7, dedicated to the Alan Turing Year. •	March 7, 2012: Sixth conference of the Stichting Nationaal Informatica Congres (SNiC) on Turing's Legacy in the Jaarbeurs Utrecht. The general theme of the conference is the ideas of Alan Turing and their modern day application. •	March 17-18, 2012: Special Session on Computable Mathematics (in honor of Alan Turing) as part of the American Mathematical Society, 2012 Spring Eastern Sectional Meeting, George Washington University, Washington, DC. •	March 26, 2012: THE MANCHESTER LECTURE - Alan Turing: His Theory of Morphogenesis Demonstrated in Radiolaria, lecture by Turing's ex-student Professor Bernard Richards for the Manchester Literary and Philosophical Society, 7pm at the Royal Northern College of Music. •	March 26-30, 2012: Turing 2012: The Life and Works of Alan Turing - a week-long event hosted by the Department of Philosophy at De La Salle University-Manila, Philippines. Features a two-day conference on Turing's influence in today's society, focusing on his significant contributions in the areas of philosophy, artificial intelligence, and computer science. •	March 29, 2012: Talk on Alan Turing by Andrew Hodges at the STFC Rutherford Appleton Laboratory. •	April 2-5, 2012: 28th British Colloquium for Theoretical Computer Science (BCTCS 2012), University of Manchester. Part of the Alan Turing Year, and collocated with the Automated Reasoning Workshop (ARW). •	April 4, 2012: A Turing Centennial Conference, as part of the Turing Year in Israel programme of events. •	April 5, 2012: One-day conference on Computability and Logic , at Bern Universität, Switzerland. Organised by the Swiss Graduate Society of Logic and Philosophy of Science (SGSLPS). Will feature three plenary talks related to the work of Alan Turing and Kurt Gödel. •	April 9-12, 2012: 41st Spring Conference of the Union of Bulgarian Mathematicians, Borovetz, including special lecture by Radoslav Pavlov on Alan Turing the Enigmatic Genius of the Information Age. •	April 16, 2012: Conference tout public - Centaire de la naissance d'Alan Turing par Jean Lassègue - 18:30, Campus St. Jean d'Angely, Amphi 4, Nice. •	April 16-19, 2012: 2012 British Mathematical Colloquium, University of Kent. Turing's biographer, Andrew Hodges (Wadham College, Oxford), and Robert I. Soare (Chicago) - speaking on Mathematics and the Turing Renaissance - are confirmed invited speakers. There will be also a mini-workshop on Turing's Legacy in Mathematics and Computer Science, organized by Simon Thompson (Kent School of Computing). •	April 16-19, 2012: Workshop on Proof Theory and Modal Logic - First International Wormshop in Barcelona. The main idea behind the themes at the workshop are Recursive Feferman-Turing Progressions of Formal Theories (Iterating Consistency). •	April 16-20, 2012: Latin American Symposium on Theoretical Informatics (LATIN 2012), in the campus of the Universidad Católica San Pablo, in Arequipa, Peru. The LATIN conference is pleased to join the celebrations in honour of the Alan Turing Centenary of his birth. At LATIN 2012, plenary talks by Martin Davis and Scott Aaronson will form the core of the celebration. •	April 18, 2012: Machines, Algorithms and Computer Science in the Centenary Celebrations of Alan Turing, University of Bari Aldo Moro, Italy. Hosted by the Dipartimento di Filosofia Letteratura Storia e Scienze Sociali-Fless, invited speakers include Piergiorgio Odifreddi, Gabriele Lolli, Guglielmo Tamburrini, Roberto Cordeschi, Luigi Borzacchini, Giovanni Pani, Anna Maria Fanelli, Mauro Di Giandomenico and Carla Petrocelli. •	April 26, 2012: Pioneers of Computer Science: From Turing to Harel, at Eindhoven University of Technology (TU/e). •	April 26 - May 17, 2012: Gibbons Memorial Lecture Series 2012, Auckland, New Zealand. The 2012 lectures all concern Turing's accomplishments and his legacy for Computer Science. •	May 2, 2012: Online lecture: Turing: Pioneer of the Information Age, by Jack Copeland at Stanford University in an EE380 session entitled The Alan Turing Centenary Lecture. •	May 7 - 13, 2012: Commemoration of the Turing Centenary - University of Extremadura, at the Escuela Politécnica de Cáceres. •	May 10-11, 2012: Turing's Century (T100), in Edinburgh, organised by the Edinburgh University School of Informatics and the Royal Society of Edinburgh. •	May 10-12, 2012: Princeton Turing Centennial Celebration, Princeton University. •	May 12-13, 2012: Workshop on Philosophy and Computation, University of Lund. •	May 16-21, 2012: Theory and Applications of Models of Computation (TAMC 2012), at the Chinese Academy of Sciences in Beijing. •	May 17, 2012: Brian Carpenter: Alan Turing - Computer Designer - Computer Conservation Society lecture, Fellows Library of the Science Museum, London. •	May 23, 2012: 2012 Alan Turing Year in Hong Kong Public Seminar - Barry Cooper: Alan Turing and the Computing Revolution: Ten Big Ideas that Changed the World, Hong Kong. •	May 24, 2012: Alan Turing and his work in Manchester, University of Manchester. •	May 24, 2012: Legacy of Alan Turing, at School of Engineering in Computer Science, Universitat Politècnica de València. •	May 27-29, 2012: The Canadian Society for History and Philosophy of Mathematics Annual Meeting, University of Waterloo ON. •	May 29, 2012: A Celebration of Alan Turing: Lectio Magistralis di Judea Pearl, Department of Computer Science of Rome's University "Sapienza". •	May 30 - June 1, 2012: 1st Annual Conference on Complexity and Human Experience - Modeling Complexity in the Humanities and Social Sciences, University of North Carolina. •	June 6-9, 2012: 28th Conference on the Mathematical Foundations of Programming Semantics, MFPS 2012, University of Bath Bath, UK. •	June 11-13, 2012: Alan Turing Centenary Session in International Mathematica Symposium 2012 (IMS2012), University College London. •	June 22-23, 2012: A Turing Centenary Bangalore - The State of Computing: Alan Turing Birth Centenary Conference , at the Department of Computer Science, PES Institute of Technology, Bangalore, India. •	June 22 - December, 2012: As part of the Brazilian Alan Turing Year: A Special Lecture Series celebrating the Alan Turing Year, at the Federal University of Rio Grande do Sul (UFRGS), Porto Alegre, Brazil. •	June 23, 2012: One-Day Seminar on: Computability, Complexity and the Digital Era to coincide with the Centenary of Alan Turing, in Kolkata, India. •	June 23-26, 2012: Alan Turing Centenary and Theory of Computation Summer School 2012 (CCA 2012), in Daejeon, South Korea. Hosted by the National Institute for Mathematical Sciences (NIMS), South Korea. •	June 25-28, 2012: Twenty-Seventh Annual IEEE Symposium on Logic in Computer Science (LICS 2012) at the University of Dubrovnik in Dubrovnik, Croatia. •	June 26, 2012: The Enigma of Alan Turing - Father of Computing - Open talk by Professor Phil Dyke, Royal Plymouth Corinthian Yacht Club, Plymouth. •	June 26-28, 2012: Alan Turing: From Computers to Life, a 3-day conference in the National University of Mexico (UNAM). •	June 26 - July 1, 2012: IJCAR 2012 - The 6th International Joint Conference on Automated Reasoning, in Manchester. •	June 28, 2012: Creativity in tough times: Turing and Manchester University after the Second World War , The Manchester Museum. •	June 28-29, 2012: Simposio Turing 2012, a two day event held at the Department of Computer Science, CINVESTAV, México. •	June 29, 2012: Special Event to Celebrate Turing's Centenary, Universidad Mayor de San Andres, La Paz, Bolivia. •	June 29 - July 11, 2012: Summer School in Cognitive Sciences 2012 - Evolution and Function of Consciousness, in Montreal, Canada. •	June 30, 2012: The Turing Education Day (TED) at Bletchley Park, incorporating the Alan Turing Memorial Lecture 2012. •	July 2-6, 2012: JOINT 2012 International Association for Computing and Philosophy World Congress (IACAP 2012) and Society for the Study of Artificial Intelligence and Simulation of Behaviour Annual Convention (AISB 2012), University of Birmingham. •	July 3-5, 2012: ITiCSE 2012 - 17th Annual Conference on Innovation and Technology in Computer Science Education , at the Technion in Haifa, Israel. •	July 3-7, 2012: The 7th International Computer Science Symposium in Russia (CSR 2012), at the University of Nizhni Novgorod (UNN). •	July 9-13, 2012: 39th International Colloquium on Automata, Languages and Programming (ICALP 2012), the main conference and annual meeting of the European Association for Theoretical Computer Science (EATCS), University of Warwick. •	July 14-20, 2012: Touring Turing, a 2012 Oxford University Summer School for Adults (OUSSA 2012), Oxford. •	July 16-20, 2012: 6th International School on Rewriting, Valencia, Spain. •	July 17-20, 2012: 17th International Conference on Implementation and Application of Automata (CIAA), Porto, Portugal. •	August 6-10, 2012: Logic and Computability at CLAM 2012, at the National University of Córdoba, Argentina. •	August 18-19, 2012: The Singularity Summit Australia (Science and the Audacity of Imagination), Melbourne. •	August 23-25, 2012: The Turing Festival 2012 - Edinburgh International Technology Festival, Edinburgh. •	August 27-31, 2012: Turing and Anniversary Session at 20th European Conference on Artificial Intelligence - ECAI 2012, Montpelier, France. •	August 28-31, 2012: Turing Computability and Membrane Computing as an Unconventional Computing Paradigm Session at The 13th International Conference on Membrane Computing (CMC13) in Budapest, Hungary. •	August 29-31, 2012: Physics and Computation 2012 at the University of Swansea, UK. •	September 3-7, 2012: Unconventional Computation and Natural Computing (UCNC 2012) in Orléans. •	September 3-6, 2012: Computer Science Logic (CSL 2012) IUT Fontainebleau of UPEC Université. •	September 3-6, 2012: 19th Workshop on Logic, Language, Information and Computation (WoLLIC 2012), University of Buenos Aires, Argentina. •	September 4, 2012: Alan Turing: A Centenary Celebration, Berkeley, California. •	September 4-7, 2012: Turing's Economics - A Session Celebrating the Alan Turing Birth Centennial, held as part of the 4th World Congress on Social Simulation (WCSS 2012), National Chengchi University, Taipei, Taiwan. •	September 4-7, 2012: 23rd International Conference on Concurrency Theory (CONCUR 2012), Newcastle upon Tyne. •	September 6, 2012: Significance: Alan Turing and Enigma, talk given by James Grime at the Royal Statistical Society 2012 International Conference. •	September 6, 2012: Special Session on Alan Turing at INForum 2012, Portugal. •	September 7, 2012: Gloucester History Festival talk on The Centenary of Alan Turing, Enigma & the Dawn of the Computer Age, given by GCHQ historian Tony Comer. •	September 7, 2012: Heyting Lecture: The Church-Turing Thesis and Relative Recursion by Yannis Moschovakis, Amsterdam. •	September 11, 2012: First ICO Alan Turing Lecture, by Christopher Andrew at the Museum of Science and Industry in Manchester. •	September 12, 2012: Computability and Logic: Celebrating the Alan Turing Year in Brazil, a special session of the Colloquium Logicae organized by the Centre for Logic, Epistemology and the History of Science, and held at the State University of Campinas (UNICAMP). •	September 12-14, 2012: 19th International Symposium on Temporal Representation and Reasoning - TIME 12, at the De Montfort University, Leicester, UK. •	September 13, 20 and 27, 2012: ALAN TURING OU LES FONDATIONS DE L'INFORMATIQUE - Trois Thématiques, Trois Conférences, Nancy. •	September 13-14, 2012: Dni Alana Turinga, at the Univerzita Komenského Bratislava. •	September 13-15, 2012: Colloquium Logicum 2012, at Heinz-Nixdorf-Museumsforum, Paderborn. •	September 14, 2012: Alan Turing Centenary Celebration, at Monash University, Clayton, Australia. •	September 16-21, 2012: Informatik 2012, at Jahrestagung der Gesellschaft für Informatik, Technische Universität Braunschweig. •	September 19-24, 2012: Interdisciplinary Symposium on Complex Systems - ISCS 2012, at Kypriotis Hotels and Conference Center, Kos Island, Greece. •	September 19-24, 2012: Turing Centenary: Cesena and Urbino Celebrations, Italy. •	September 20-21, 2012: Alan Turing Centenary Commemoration - at the School of Electrical and Computer Engineering of the University of Campinas (UNICAMP), Brazil. •	September 25-27, 2012: Workshop on Limits of Theorem Proving, in Rome. •	September 26-28, 2012: IFIP Theoretical Computer Science 2012 (TCS 2012), held at the Centrum Wiskunde & Informatica (CWI), Amsterdam. •	September 27, 2012: The Rutherford Appleton Laboratory Lecture, by B. Cooper at the STFC Rutherford Appleton Laboratory, Harwell, Oxford. •	September 29-30, 2012: 5th Eastern Great Lakes Theory of Computation Workshop at Davis Hall, University at Buffalo North Campus. •	October 5, 2012: turing100.nl: Celebrating Alan Turing's 100th birthday in the Netherlands, Amsterdam. •	October 5, 2012: Machines, Algorithms and Computer Science in the Centenary Celebrations of Alan Turing. Organised at the Department of Philosophy, Aldo Mori University of Bari, Italy. •	October 6-7, and October 9-10, 2012: Alan Turing - Creator of Intellectual Currents, India. •	October 9 - November 20, 2012: Further talks in the Alan Turing Centenary 2012 in Calgary series of events, University of Calgary, Canada. •	October 10-12, 2012: Turing in Context II - Historical and Contemporary Research in Logic, Computing Machinery and AI, sponsored by and organized at the Royal Flemish Academy of Belgium for Science and the Arts Brussels, Belgium. •	October 11, 2012: Alan Turing's B-Day celebration, lecture by Scott Perry (abstract) at the University of South Florida St. Petersburg (USF), St. Petersburg Florida. •	October 12-13, 2012: Alan Turing's Legacy, in Rome. To be held at the Philosophy Departments of University of Rome Three and University La Sapienza of Rome. •	October 16, 2012: METU Remembers Turing: What is Computation to me?, at the Middle East Technical University (METU) Informatics Institute, Ankara, Turkey. •	October 17, 2012: Royal Society History of Science Public Lecture by Andrew Hodges on Alan Turing: Not Just a Beautiful Mind, at the Royal Society, London. •	October 18, 2012: Public Lecture: Alan Turing, the Birth of Computing, and the Power of Mathematics, by Rob Downey,Victoria University of Wellington, New Zealand. •	October 22, 2012: La Universidad Jorge Tadeo Lozano organiza Foro sobre el legado de Alan Turing in Bogota, Colombia. •	October 22, 2012: Alan Turing Inspired Maths Enrichment Day at the University of Essex. •	October 23-24, 2012: International Symposium: The Alan Turing Legacy, Fundación Ramón Areces, Madrid. •	October 25, 2012: Turing 100 Anys: Turing and Beyond: from Embryos to Synthetic Biological Computers, Institut d'Estudis Catalans, Barcelona. •	October 26-27, 2012: Turing under Discussion - 2012 Annual Meeting of the Swiss Society for Logic and Philosophy of Science SSLPS, at the ETH Zürich, Switzerland. •	October 27, 2012: ALAN TURING: pioniere dell'era digitale - Department of Computer Science DISI of the University of Bologna. •	October 29, 2012 - January 25, 2013: Turing100 Lecture Series @ UNB Saint John, Canada. •	October 30, 2012: Scientists, Science and Society Series at Swansea: What can we compute? A history of the Church-Turing Hypothesis, Swansea. •	November 1, 2012: ATIA Alan Turing Year Conference - A one-day workshop organised by and at the Alan Turing Institute Almere, The Netherlands. •	November 2, 2012: Alan Turing in Manchester: His last years and legacy, at The Manchester Museum. •	November 5-16, 2012: Hamabostaldia Alan Turingen omenez . •	November 6, 2012: The Mathematical Objection: Turing, Gödel, and Penrose on the Mind, a special lecture by Professor Jack Copeland, at BCS London. •	November 6-8, 2012: Haifa Verification Conference 2012 (HVC 2012), at IBM Research - Haifa, Israel. •	November 8, 2012: Sessão de Homenagem a Alan Turing at Academia das Ciências de Lisboa. •	November 9, 2012: Alan Turing's Legacy: from Universal Turing Machine to Artificial Intelligence, lecture by Cambridge Wong, Yasumoto International Academic Park. •	November 9, 2012: The Computer as Computational Data - a Multifaceted Turing Legacy, lecture by S. Barry Cooper, at Universidad Nacional Autónoma de México (UNAM), Mexico City. •	November 11-12, 2012: Alan Turing Centenary Conference TURING 100, organised by the Center for Philosophy & History of Science and the Hariri Institute for Computing and Computational Science & Engineering, Boston University. •	November 14, 2012: Alan Turing: Computer Pioneer - a Turing Centenary event at the University of Newcastle. •	November 16, 2012: Alan Turing Centenary Lecture as part of the Science Alive Festival in Hong Kong - Professor Sethu Vijayakumar on Robots: The Future of Man or "Man of the Future"? •	November 16, 2012: Workshop in honour of Alan Turing: Taller de Teoría de la Computación 2012 , at Universidad Nacional Autónoma de México (UNAM), Mexico City. •	November 16-17, 2012: Alan Turing Days in Lausanne, hosted by the School of Computer and Communication Sciences of the Ecole Polytechnique Federale de Lausanne (EPFL), in Switzerland. •	November 20, 2012: Leeds Café Scientifique, with Barry Cooper on Alan Turing: The Building of a Brain, Leeds. •	November 21, 2012: Luncheon talk on Alan Turing at HK Convention Centre . Speaker: Professor YB Yeung. •	November 22, 2012: Per Il Centenario Di Alan Turing, Fondatore Dell'Informatica, organised by Accademia Nazionale dei Lincei, Rome. •	November 26, 2012: IBM - UTS Alan Turing Public Lecture: Artificial Intelligence - the past, present and future, lecture by Edward Feigenbaum, University of Technology, Australia. •	November 26, 2012: In Rome: ALAN TURING, IL PADRE DEL PRIMO COMPUTER, A CEN'ANNI DALLA NASCITA, an official panel for TURING CENTENARY supported by Fondazione Camera dei Deputati. •	November 27, 2012: Prof Mark Chaplain on Alan Turing: Much more than an enigma - University of Dundee. •	November 28, 2012: William Newman: Alan Turing Remembered University of the Third Age in Cambridge. •	November 29 - December 3, 2012: Four Days of meetings and conferences in Lecce and Bari, Puglia, on Turing, Apple and Quanta - The Information as Fifth Element. •	November 30, 2012: Conmemoración 100 años De Alan Turing en la UIS, at the Universidad Industrial de Santander, Bucaramanga, Colombia. •	December 4, 2012: Alan Turing Centenary: Turing and Intelligent Machines. Lecture by Nicole Wyatt, University of Calgary. •	December 4, 2012: NW Engineers' Christmas Lecture: The Four Facets of Alan Turing and our work on Morphogenesis - See Manchester Evening News report on speaker Prof. Bernard Richards' account of his time as a young research student of Alan Turing (article).Manchester Metropolitan University. •	December 4-6, 2012: Special lectures by Prof. Barry Cooper at the Universidade Federal Do Rio Grande Do Sul, Porto Alegre, at the Seminários GLTA-CLE e Colloquium Logicae organized by the Centre for Logic, Epistemology and the History of Science CLE UNICAMP in Campinas and by the research group in Logic, Artificial Intelligence and Formal Methods at the University of São Paulo. •	December 4-7, 2012: World Intelligence Congress in Macau, China. As a special event for the Alan Turing Year, the conference has Turing Keynote Speaker Edward Feigenbaum (1994 Turing Award winner) on Top 10 fundamental questions and challenges in intelligence informatics\computiong, from Stanford University. •	December 5, 2012: Public Engagment Afternoon in Swansea, to celebrate Alan Turing's Centenary. Lecture Alan Turing's Other Universal Machine: The ACE by Prof. Martin Campbell-Kerry. •	December 8-11, 2012: Fifth Conference on Artificial General Intelligence (AGI-12), and the AGI Impacts conference 2012, held in Oxford, UK, together forming the Winter Intelligence Conference 2012. •	December 10, 2012: Turing Year Enriques Lecture in Milan, with speaker Barry Cooper on Alan Turing and the Computational Content of Causality. Dipartimento di Matematica, Universitá degli studi di Milano. •	December 11, 2012: The Alan Turing Centenary Symposium, hosted by the Fundação Calouste Gulbenkian, Lisboa, Portugal. •	December 12, 2012: Turing Centenary Celebration at RSC Calicut in Kerala, India. •	December 12, 2012: Alan Wray on: The German Enigma, the Turing British Bombe and the Bombe Rebuild, at the University of Hertfordshire. •	December 12, 2012: A Tribute to Alan Turing at Universidade Tecnológica Federal do Paraná (UTFPR) in Curitiba, Brazil. •	December 18-20, 2012: Alan M. Turing - Simplification in Intelligent Computing Theory and Algorithms, a 3-Day Faculty Development Program at the Foundation for Advancement of Education and Research (FAER), in Bangalore. •	December 18-20, 2012: Eventos Ãno Turing at the University of Granada - A three-day meeting organised by the Escuela Técnica Superior de Ingenierías Informática y de Telicomunicación (ETSIIT).